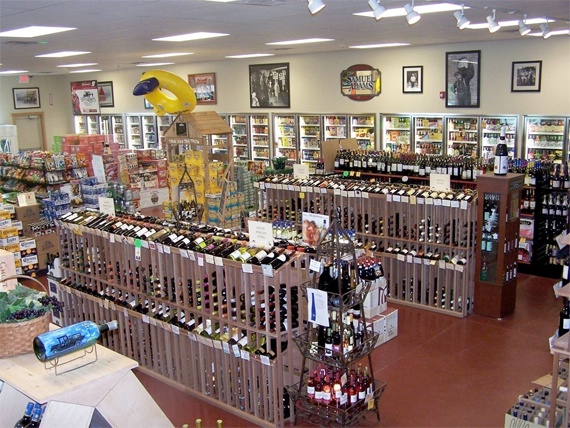 Bootleggers Beverage Warehouse and Redemption center is independently owned and operated and is not a national chain. We have two locations, one on 13 Village Street in Lisbon, Maine and our flagship store is located on 13 Hamilton Court in Topsham, Maine. As you read through our web site be aware that much of the information reflects what is available in our Topsham location only. Our Lisbon store falls more in line with a neighborhood grocery store, offering beer, wine, liquor, AND a large variety of groceries. Our goal is simple, to be the best beverage center in the state of Maine in terms of customer satisfaction, customer service and selection of beer, wine, and liquor. Thank you to Beer History.com for the use of some of the pictures on our site.